This unorthodox design encompasses aspects of the Trojan warrior along with aspects of Troy University. 1) The right shoulder is decorated with a realistic representation of scale armor, an armor known to have been worn by the ancient Trojan warriors. 2) Troy's Alma Mater is scribed along the side insets of the jersey. 3) An actual gold medallion of Hector, Trojan Prince and the greatest warrior of Troy, is represented just beneath the front collar. 4) An ancient Greek/Trojan pattern circles the left sleeve. This design features the classic look of hoops (or stripes) that offers a more traditional rugby look, featuring a Greek/Trojan pattern circling each sleeve. 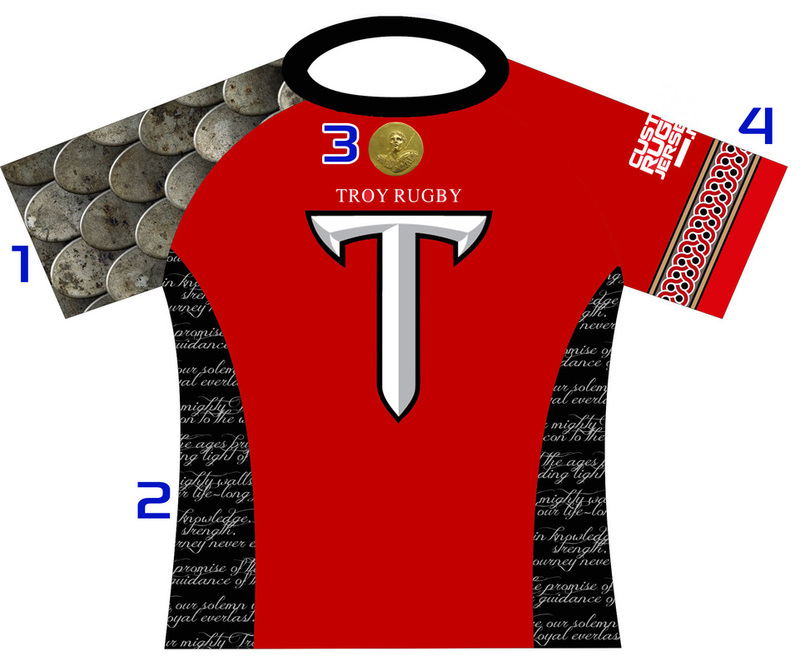 This design blends aspects of both modern and classic design, featuring an oversized Hector logo on the right chest and the last two lines of the Troy fight song on the bottom of the jersey's back. 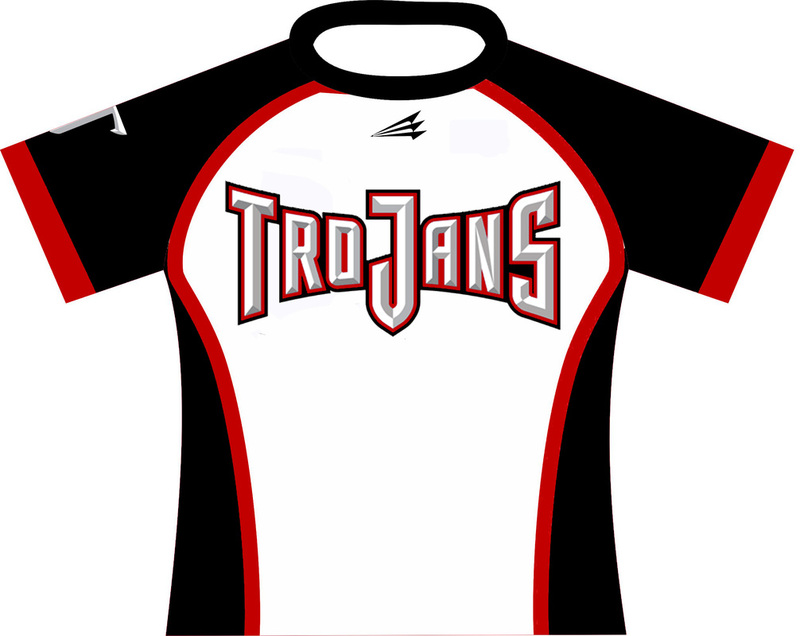 The same design as above, but with the Trojan's text graphic full-front across the chest of the jersey. Good luck getting this design ok'd. But it would guarantee a pitch full of pimps. Obviously, all colors can be changed and logos/logo placements can be changed. 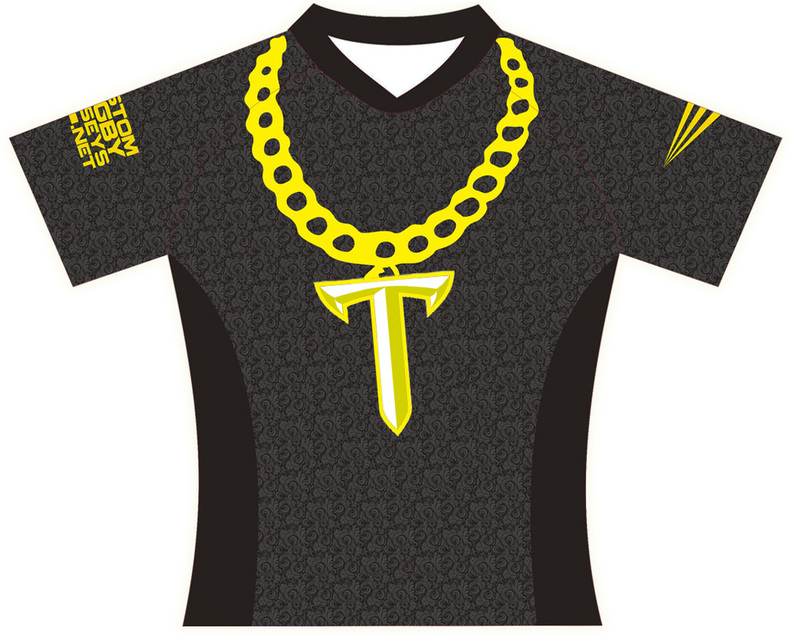 All jerseys are constructed with 100% NanoDri lightweight, durable performance fabric. Athletic (tight) and Classic (loose) sizing is available and can be mixed-and-matched within the order. Any and all sponsorship logos can be placed on any design as needed.